Increase your bottom time – dive Nitrox! This 2 day course is designed to qualify certified divers to use enriched air (commonly called Nitrox) for no stop recreational diving. Nitrox is becoming increasingly popular and is widely available in many popular dive destinations. 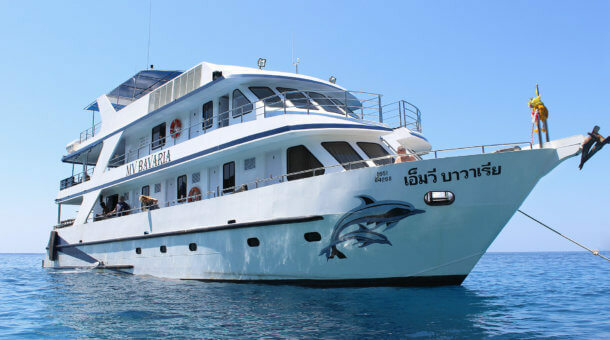 Many Phuket based Thailand diving liveaboards now have Nitrox on board. Some day trip boats can also carry Nitrox on request, and your course can be combined with either a day trip or a liveaboard. The first day is a classroom session, learning all about Nitrox and how to plan dives. On the second day you dive! It’s also possible to make the Nitrox theory online with eLearning. 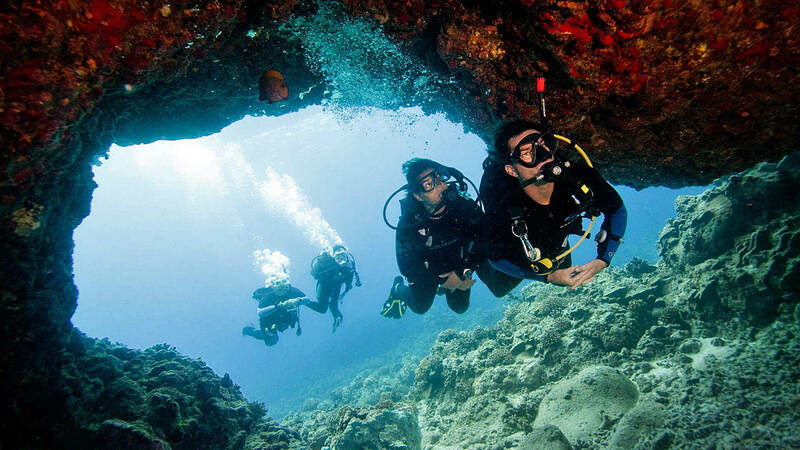 Prices include equipment rental, certification fees, PADI course manuals, log book and insurance. 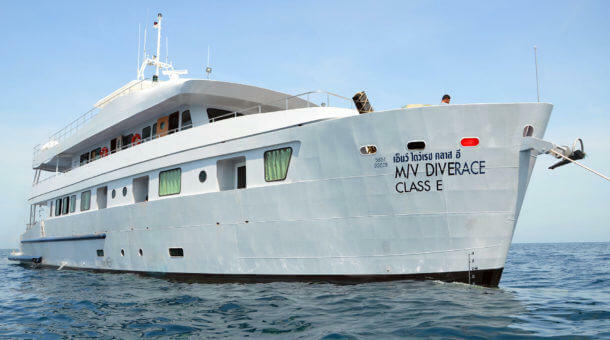 Dive trips include breakfast, lunch and drinks. Enrich your diving with Enriched Air – Time is Money! We suggest that you stay close to Sunrise Divers (we are at Karon Beach) when taking your Nitrox course. Ideally you should plan to visit our shop any day before your course starts to complete paperwork, get your course manual and you can try equipment. On Day 1 please meet at our shop. 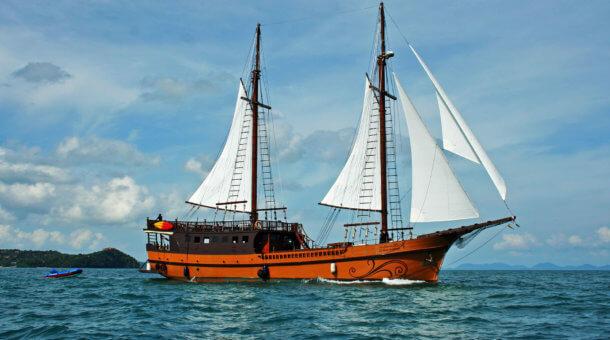 On day 2 pick up is from your hotel at 7:45am based on hotels in Karon or Kata Beach area. Pick up also possible from Patong. Other areas of Phuket possible with extra pick up fee. So, what exactly is Enriched Air / Nitrox? The term “Nitrox” refers to any gas mixture composed (excluding trace gases) of nitrogen and oxygen; this actually includes normal air which is approximately 78% nitrogen and 21% oxygen, plus about 1% inert gases, primarily argon. The most common use of nitrox mixtures containing higher than normal levels of oxygen is in scuba diving, where the reduced percentage of nitrogen is advantageous in reducing nitrogen take up in the body’s tissues and so extending the possible dive time, and/or reducing surface interval time and maybe even reducing the risk of decompression sickness. Many divers report feeling less tired when using Nitrox, though there has been no real study to prove this. Enriched Air requires the use of special tanks due to the higher than normal oxygen content, and also the use of special dive tables that you learn about in the course. You must be very careful to check your oxygen content before diving and use the right tables. Most dive computers will have the ability to account for Nitrox use, you just need to program the correct oxygen percentage (commonly between 32 – 36% for recreational dives). Learn all about it with the PADI Enriched Air Diver course!